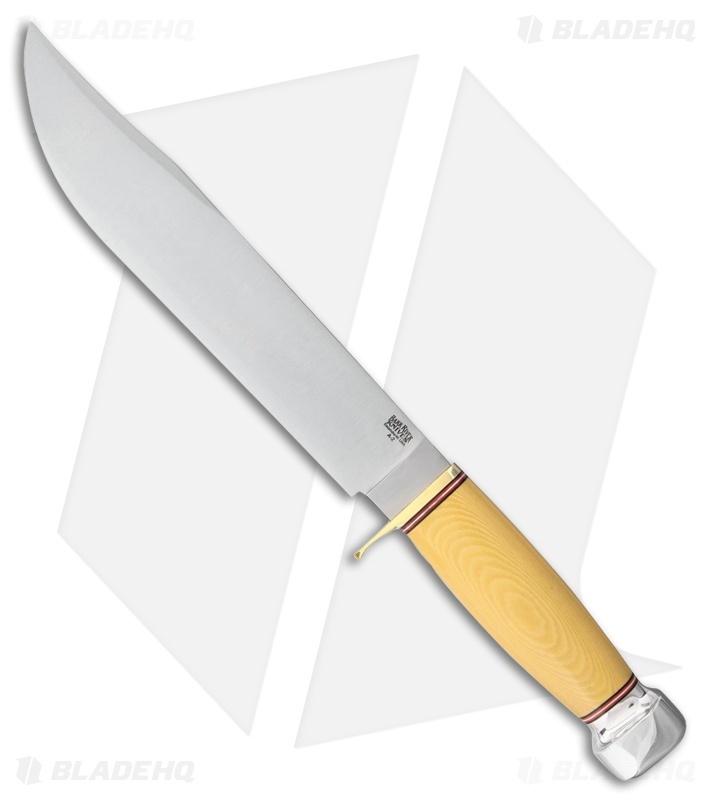 This version of the 1909 bowie has a antique ivory micarta handle and a satin finished blade. The 1909 Michigan Bowie fixed blade from Bark River Knives offers a classic historical design that has been outfitted with modern materials and knife making techniques for use in the modern world. The flat grind blade is made from A2 tool steel, in a clip point style, with a satin finish. It offers a full tang handle with antique ivory micarta handle scales, a brass guard, and a thick aluminum pommel. The 1909 Michigan Bowie offers a classic design with Bark River's flawless fit and finish.